You have the knowledge, skills, experience and passion to change lives. The thought of helping your dream clients take that first brave step towards better health and being their trusted guide along their journey lights you up inside. You know in your heart, this is the work you’re meant to do. You just want a steady stream of clients so you can turn your passion into your career without needing to rely on your day job to pay the bills. You feel like something is missing in your marketing efforts. Other health influencers seem to have it all figured out with big followings and a never-ending supply of clients. You wish you knew their secrets. You know you need to get clear on what you do and get out there and talk about it but something’s keeping you stuck. You’ve tried posting inspirational messages on Facebook and Instagram with just the right image but feel like you’re wasting your time because no one is liking or commenting. Video is scary and you are never really sure what topics to talk about anyways so you avoid it. Telling people what you do in way that is clear, powerful, and memorable and makes them want to know more. Being so in tune with your audience that every time you write or speak, they can’t wait to hear what you have to say. 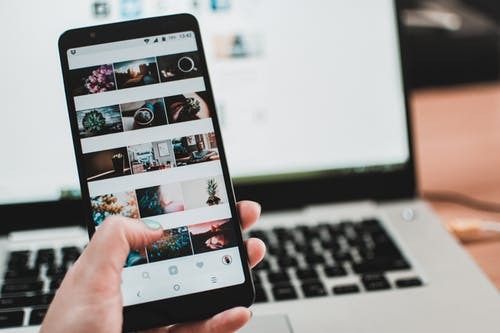 Feeling confident that all of your marketing – social media posts, blog posts, videos, and emails – effectively capture the attention and interest of your ideal clients. Waking up to messages from potential clients ready to work with you. Having a full roster of happy clients who are eager to refer their friends and family to you. Your clients are out there, struggling and wishing someone would appear at their virtual doorstep with the answer they’ve been searching for. They’re ready to hear your message and have you help them transform their lives. You just need to get your message in front of them! Struggling to talk about what you do in a way that gets people interested and wanting to know more. Feeling a bit confused about your niche and who your perfect clients might be. Tired of trying to figure out what to write and talk about and feel like it’s not connecting with your ideal clients. Deep down you’re afraid you’ll never make the kind of money you want because you don’t have the confidence or charisma to build an audience and raise your prices. Hi, I’m Jill Kane. 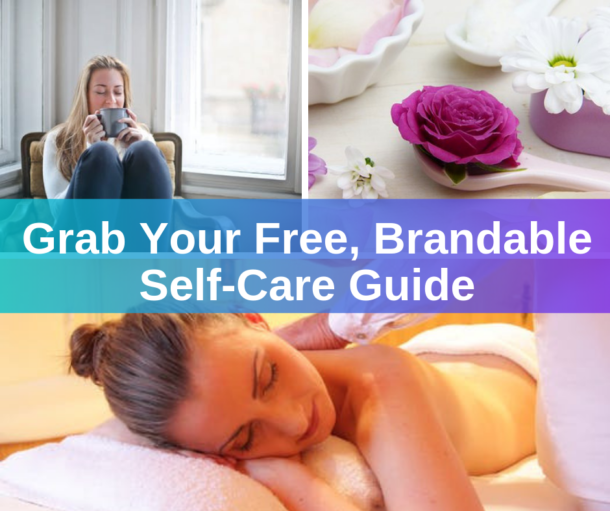 I’m a Business Mentor for Health Coaches and Wellness Professionals who are ready to create and grow a profitable online business but are struggling with how to make it happen. I help them come up with a clear plan to attract clients and create consistent income so they can grow a thriving, successful business that they love. That’s why I created Get Clear, Get Clients so you can clarify what you do, who you help, and how you help them. Instead of trying to convince clients to work with you, you’ll learn how to attract and connect with an audience who are eager to hire you. You’ll learn how to master your unique message so that every time you write or speak it resonates with your audience so deeply that they cannot ignore it… even if they tried! Instead of ignoring or just casually skimming your content, your audience will feel drawn to you, want to engage with your content, and be a part of your community. 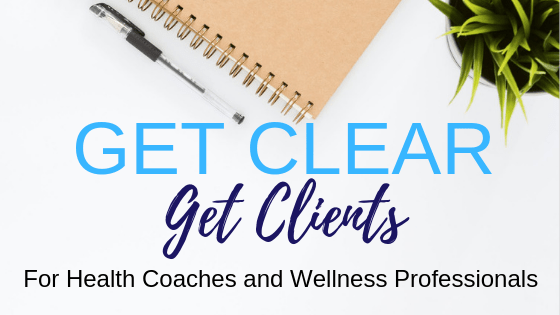 Get Clear, Get Clients will have you speaking and writing with more confidence and knowing all of your marketing efforts are focused on getting you more ideal clients! Feel clear on your specific niche and confident in how to reach them with your message. Have a compelling elevator pitch that gets more people asking about how you can help them and how they can hire you! 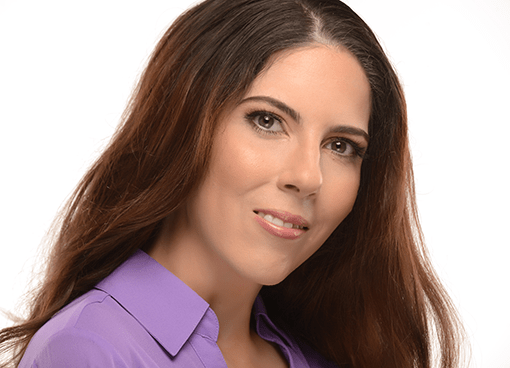 Be known as the go-to expert as you consistently show up with tons of valuable, relevant advice, tips, and inspiration right where your ideal clients are hanging out. Let’s open the floodgates and get you a consistent flow of awesome, ideal clients! This pre-session assessment will help you discover the keys to creating a business you love; one that aligns with your values and fulfills you. You’ll gain a deeper understanding of who you’re meant to help based on your personality, preferences, knowledge and experience so you can finally get clear on who your perfect clients are and start attracting them to you. We’ll review your Get Clear Assessment responses and use its learnings to refine your niche and craft a powerful, concise, clear statement of the work you do so you’re always prepared to attract your ideal client, even on the fly. We’ll dive deep into your ideal clients’ mind and explore their fears, frustrations, and desires so you can communicate with them with intention and understanding. Your step-by-step plan to properly investigate your ideal client’s behaviors, preferences, beliefs, and values. You’ll learn how to find out what they care about so you can jump into the conversation they’re already having. You’ll not only be able to further refine your elevator pitch but also know what topics to write and speak about in a way that builds rapport and authority in your niche. We’ll connect again two weeks later on a 30-minute call to see how it’s going, make any necessary tweaks to your plan, and discuss any challenges you’re facing so you can keep moving forward. You can finally genuinely connect with your audience and convert them into raving fans and paying clients! I can help. Let’s get started! Click the Get Started Now button below to submit your payment. After submitting your payment, you’ll receive an email giving you access to your Get Clear Assessment. I’ll send you a link to schedule your 90-minute Message Breakthrough Strategy Session.